PetraSlate is one of Denver’s leading sources of premium natural stone tile, providing stone materials to high-end flooring and design centers in Colorado and throughout the country. Popular on floors and walls for centuries due to its unmatched durability, no material speaks of quality, elegance, and longevity like natural stone. Offering a diverse range of options with nearly limitless design potential, natural stone tile is durable, each with its own distinct qualities. Highly resilient, the distinctively cleft-patterned, matte surface of slate is formed from the clay of ancient sea beds. 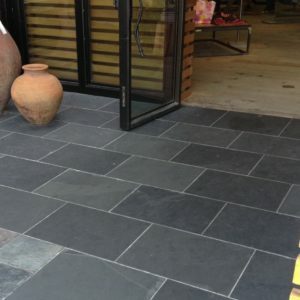 An excellent choice for floors and walls in entryways, bathrooms, and kitchen backsplashes, it comes in a variety of tile colors and styles, including tumbled, field tile, flagstone, Versailles, and custom cuts. Travertine’s porous surface composed of the sedimentary rock calcite, features a sponge-like appearance that can be left open on walls, or on floors filled with grout to create an easier cleaning surface. Soft underfoot, its matte surface is ideal for hallways, living areas, kitchens, and baths including countertops, tub surrounds, and shower tiles. Check out our large selection of field tile, tumbled, and Versailles varieties. Another stone version of calcite, limestone natural stone tile comes in a wide array of textures formed from the shells of ancient marine life. 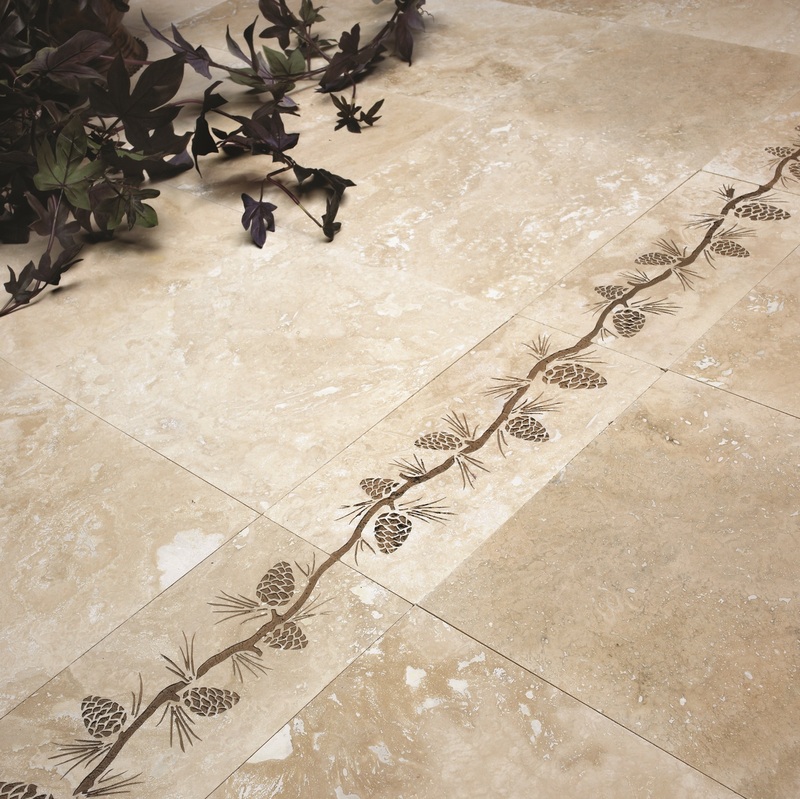 Take advantage of this stunning stone on entryway and kitchen floors, as well as bathroom surfaces. Beginning life as limestone, marble emerges from the crystallization of limestone rock, resulting in veining and dramatic changes in textures. Because it keeps its striations as it forms, some varieties take on a wood-grain look. Marble is a great fit for dramatic flair in living areas, kitchens, and hallways, as well as on vanity tops, tub surrounds, and bathroom walls. Not sure which natural stone tile in Denver is best for your needs? Come in and see our experienced staff at PetraSlate Tile & Stone and let us guide your decisions about stone – and how to incorporate it into your design plan. Consult with a PetraSlate design expert, or stop by your Denver area showroom today.